The almighty Altior has been entered into Cheltenham Festival’s Betway Queen Mother Champion Chase – the pinnacle of Ladies Day. 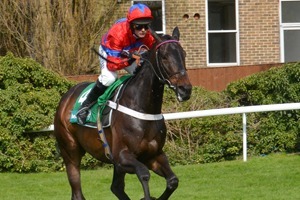 The 9-years old, Nicky Henderson trained gelding is a stand-out favourite to win the Chase, with some bookies’ odds as short as 4/11. He won the race last year in spectacular fashion after dominating the Arkle in 2017. Anyone looking to make a safe bet at Cheltenham need not look any further. Footpad, Min, and Un De Sceaux are looking likely to place behind Altior but are given 9/1, 12/1 and 16/1, respectively, to win. The attention given to Altior seems second to none in 2019 as his success turns to popularity. He’s just won at the Ascot Clarence House Chase, perhaps unsurprising given his 1/10 odds in a three-horse competition – which was the smallest Grade One chase on British soil since 2014. Altior “was just dossing in front, he was doing absolutely nothing wrong and it’s of no consequence whatsoever,” he remarked. These small natural tendencies of a horse can be of concern, but given that Cheltenham Racecourse is left-handed, the drifting inwards really shouldn’t affect the horses run on Ladies Day. Altior has managed to reach heights unimaginable to many, now unbeaten 17 races in a row. This is looking like a fourth season on the trot where no horse can even come close to besting him. Altior has seemed untouchable since 2015, which was when Eventmasters’ Racing Ambassador and leading jockey Nico De Boinville started riding him – his only times being beaten were times when Nico wasn’t in the saddle. The trio of Altior, Henderson and De Boinville seems to be a winning formula, and pundits seem to agree, with almost no one advising on a bet against them in recent years. 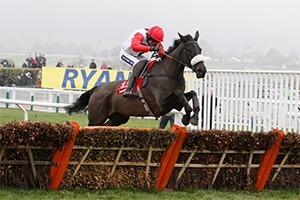 De Boinville will almost certainly be riding him once again in the Queen Mother Championship Chase on Ladies Day at Cheltenham Festival 2019. His sire High Chaparral was a similarly lightening horse in his day, taking 10 wins from 13 outings before being sent to stud. Altior’s half-brother So You Think was prominent in Australia and New Zealand racing, as well as making appearances in Europe and Dubai later on in his career. Guests in The Venue at Cheltenham Festival will be treated to luxury hospitality as they watch the ‘greatest show on turf.’ Altior is expected to put on another stellar performance on Ladies Day, and there is no better way to experience the thrills of racing than with Eventmasters. 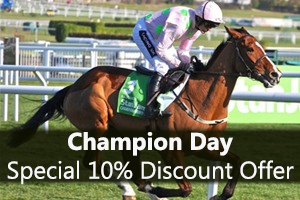 See more details of our fabulous Cheltenham 2019 Hospitality now, or call our Hospitality Team on 0121 233 6500.